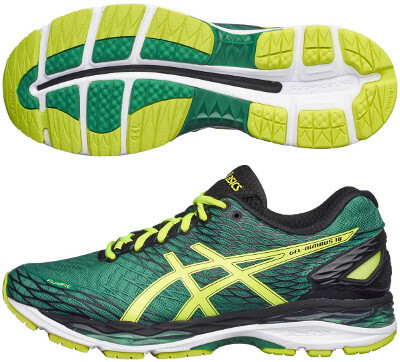 Asics Gel Nimbus 18 are neutral cushioned running shoes. The Asics Gel Nimbus 18 hits the market on time to meet the annual update of one of the most popular shoe among those runners enjoying high mileage, plush cushioning and premium materials. Initially targets neutral foot strikers but removable insole let you use your custom one. Take into account that women edition has a slightly different configuration (e.g. higher drop) to better adapt to gender specific properties. Not many changes from its predecessor the popular Gel Nimbus 17. Upper gets the typical upgrade with a reenginered heel counter (it looks like an evolution of the one present in GT 2000 4) for improved support which also increases visibility under poor light conditions. Rest remains the same one-piece of lightweight breathable mesh with high density printing (FluidFit®) to produce a modern and attractive design featuring a custom fit. ComforDry X-40 not only enhances interior's dealing with odour and moisture but also provides great comfort with soft feel. With smoother transition in mind FluidRide® becomes more important in midsole with fewer (although still plenty of) Gel® in both heel and forefoot. Redesigned outsole with different densities in the forefoot for more comfort still uses AHAR+ rubber in more exposed areas to increase durability.